The stars are right. Or, they will be right on February 15th. Get over all that lovey-dovey stuff from the day before with a whole heaping helping of horror. Free League Publishing has announced that’s the date they’ll launch their new Illustrated Call of Cthulhu Kickstarter campaign. Free League Publishing today revealed their upcoming Kickstarter for the iconic H.P. Lovecraft short story THE CALL OF CTHULHU illustrated by François Baranger, launching on Friday February 15th at 11 am CET. 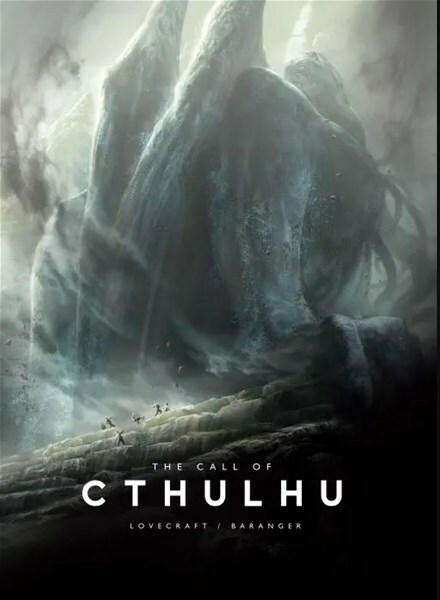 The Call of Cthulhu is written by legendary horror author H.P. Lovecraft and illustrated by the acclaimed artist François Baranger. Lovecrafts feverish nightmares truly awaken in Barangers bold and visionary art. Brace yourself for the harrowing tale. The weakness of the human mind will soon be confronted by powers from beyond our world. The stars are right. The end is near.